Despite its popularity among hobbyists and electronics enthusiasts, the Arduino has become infamous among professional embedded systems developers. I must admit that for the longest time I also viewed the Arduino as so simple it was nearly useless for professional developers. But I have changed my mind. I’ve found that on a number of occasions over the last few years, rapid prototyping using Arduinos and Arduino shields has proven invaluable in moving a project forward. Despite, or perhaps because of, its abstracted simplicity, the Arduino has been key in turning an abstract idea into a defined product. For that reason, let’s take a closer at the Arduino and how professional developers can benefit from it. One of the most powerful aspects of the Arduino for professional developers is the hardware ecosystem that supports it. Every Arduino board and derivative has a standard hardware interface that allows custom designed electronics to be stacked on top of the processor board to flesh out the prototype of an embedded system. The custom electronic boards, known as shields as probably most developers are aware, can literally have any type of electronics onboard such as motor drivers, sensors, actuators, LEDs or whatever the application needs may be. The popularity of Arduino among hobbyists has greatly benefited embedded system professionals because the result has been a wide variety of Arduino shields for nearly every application imaginable available off the shelf. One of my personal favorite shields, seen in Figure 1, is the Sparkfun weather shield. 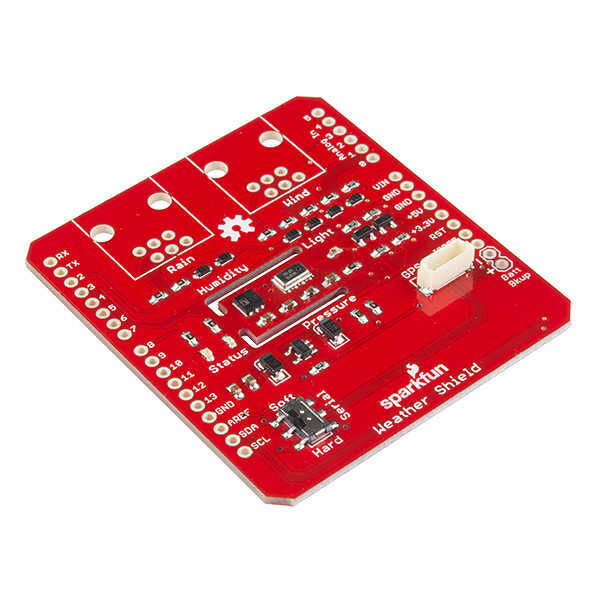 This shield provides a collection of analog and digital sensors that are perfect for teaching embedded systems courses. But if you have a different requirement, a quick search on nearly any electronic vendors’ website will reveal dozens of commercially available and stocked Arduino shields of all kinds. 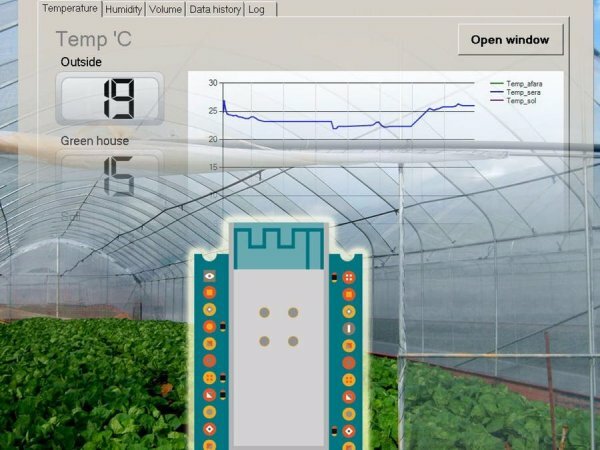 Arduino shields are typically inexpensive, costing less than $50 depending on the collection of sensors and electronics onboard.